Here at Goodway we want to wish all of our customers a Happy New Year! 2017 was a great year and we predict that 2018 will be even better as we continue to bring you more quality products and content relevant to HVAC maintenance, power generation, and food and beverage processing to improve the efficiency and productivity of your business. For over 50 years we’ve been providing innovative maintenance solutions for our customers, leveraging direct access to customers and an onsite engineering department-giving us the ability to listen to customer feedback and make those requests a reality. We have a lot of great stories to share with you in the coming months, but to kick this year off, we want to take a look at a few of our favorite posts of 2017 along with some of our predictions for 2018. Facility managers are employing drones to inspect HVAC systems and equipment in dangerous or hard to access areas. These unmanned aerial vehicles can inspect and video systems suspended from ceilings or resting on rooftops to assess whether or not maintenance is required from a technician. Safety, cost savings, and efficiency are the three main reasons that this technology is fast becoming a staple of HVAC maintenance. Magnetic bearing chillers prevent wear and tear to gears, thus saving money in repairs and extending the life of the chillers. Paired with smart controls, these smart chillers can provide diagnostics to a front end where facility managers can monitor energy consumption, system performance, and maintenance schedules. A poorly maintained cooling tower in Disneyland caused an outbreak of Legionnaires disease this past fall. 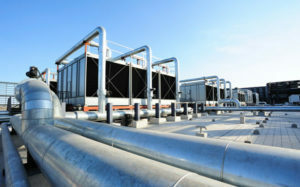 Cooling tower maintenance is essential to prevent contamination. 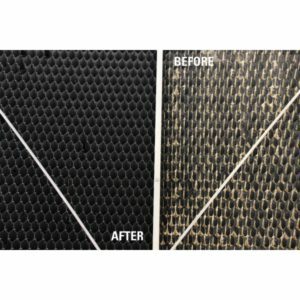 A combination of chemical and mechanical cleaning practices along with a well-maintained water treatment program is the answer to keeping cooling towers clean. 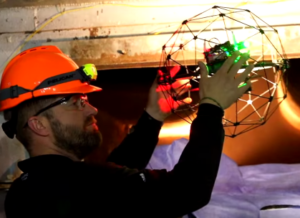 We foresee continued automation of HVAC systems and new technology like maintenance drones. As the technology costs drop, the savings will be easier to see for facility managers. Maintenance will continue to gain attention as preventative procedures to prevent poor air quality and reduce heating and cooling costs show results. Poor maintenance practices at a Duke Energy power plant failed a scheduled test due to an electrical component failure on one of its generators, resulting in stricter regulations from the Nuclear Regulatory Commission. 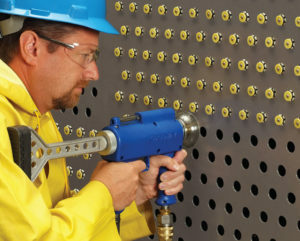 Scheduled plant maintenance and cleaning can prevent failures that can result in nuclear meltdowns. As nuclear power continues to be heavily regulated we expect to see plant maintenance take on even more importance in the coming year. Nuclear power seems to still have a foothold in the power industry but is stagnant due to the rising construction costs of plants. Therefore plants will continue to operate, but under stricter regulations for safety and maintenance. The FDA’s new Food Safety Modernization Act has changed food and beverage manufacturing in major ways over the past decade. The Act seeks to prevent contamination with stricter regulations, more inspections, and tighter oversight of the food industry. To meet the high standards of the new Act, manufacturers will have to invest in the right tools and technologies to get the right manufacturing practices into place. With the ever increasing attention to where and how we get our food, we predict that the food and beverage industry will continue to be under increased scrutiny for regulatory compliance. Preventative measures being the bar for acceptance, manufacturers will have to rely heavily on scheduled maintenance and strict cleaning procedures. 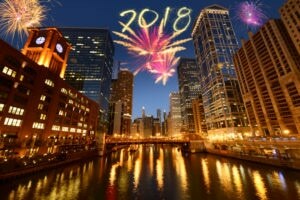 2018 looks to be another year with increased focus on automated systems that impact everything from HVAC to power to food and beverage manufacturing. 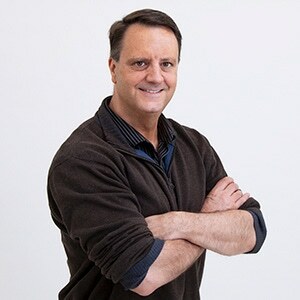 As more technology becomes interconnected and available to facility managers online, scheduled maintenance alerts will become automated and require more attention to meet more austere regulations. In 2018 Goodway will continue to manufacture products to help our customers in commercial HVAC, food and beverage processing, power generation and manufacturing do their jobs in a better, more efficient and effective way. Read our case studies to discover innovative solutions for your industry.